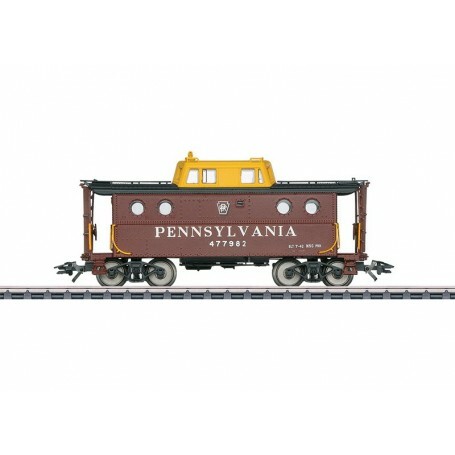 Kabinvagn N5C typ Pennsylvania Railroad PRR, längd över buffertar 11,7 cm, epok III. Model: The cabin car has a metal floor. It has detailed trucks with special wheel sets. The roof walkway, brake system, and other details are separately applied. The couplers can be replaced by other makes of couplers. Length over the couplers 11.7 cm / 4-5/8'. DC wheel sets E320552 (NEM), E320389 (RP25).